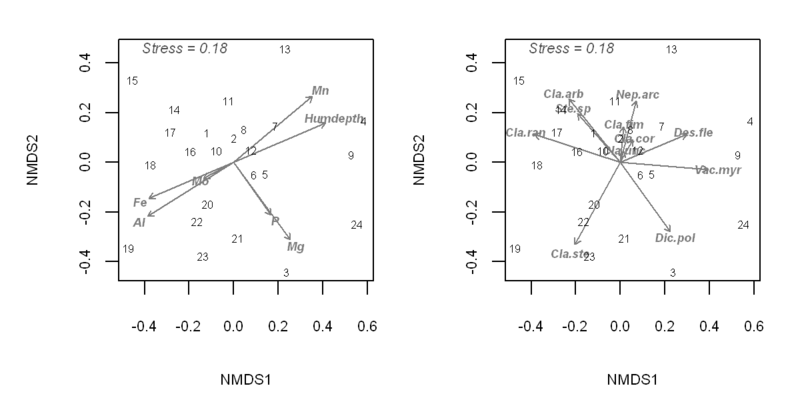 The R package "vegan" contains a version of Clarke and Ainsworth's (1993) BIOENV analysis allowing for the comparison of distance/similarity matrices between two sets of data having either samples or variables in common. The typical setup is in the exploration of environmental variables that best correlate to sample similarities of the biological community (e.g. species biomass or abundance). In this case, the similarity matrix of the community is fixed, while subsets of the environmental variables are used in the calculation of the environmental similarity matrix. A correlation coefficient (typically Spearman rank correlation coefficient) is then calculated between the two matrices and the best subset of environmental variables can then be identified and further subjected to a permutation test to determine significance. This can be a very helpful analysis in the exploration of the often highly dimensional space of community samples. The method is also widely accepted by the scientific community due to its flexibility across a wide variety of data and is completely non-parametric – Clarke and Ainsworth's (1993) paper describing the method has 674 citations on Google Scholar at the time of this posting.